Te Rauparaha, N.Z. chief. .
Hiko, the son of Te Pehi Kupe (Tupai Cupa). Kari Mako [Korimako] Mahurangi N.Z. From Motutapu looking to the S.E. 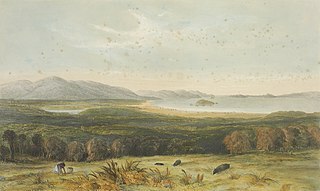 Port Nicholson from the hills above Pitone in 1840.